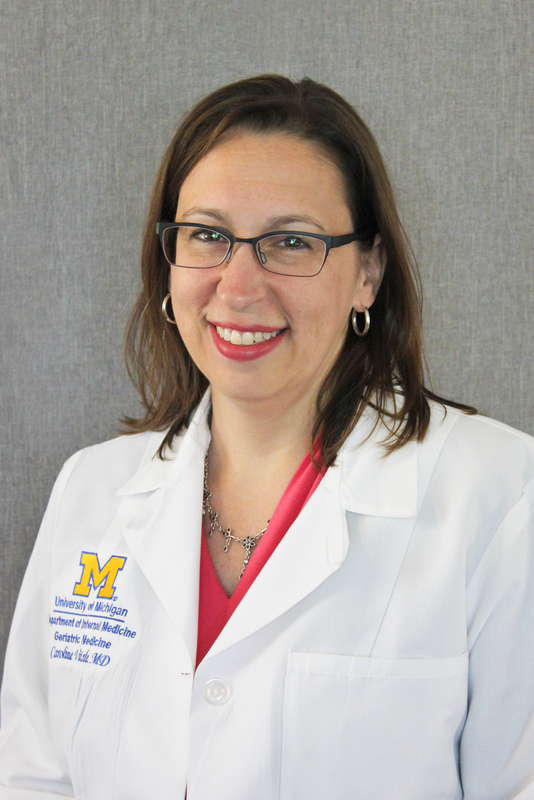 The University of Michigan Geriatric Medicine Fellowship Program, led by Director Caroline Vitale, MD, AGSF and Associate Director Erin Diviney, MD, is a one-year ACGME accredited interdisciplinary training program. It offers a wealth of opportunities for qualified physicians who wish to train as geriatricians. Since 1981, the program has trained over 150 physicians now practicing in a full range of successful careers, from traditional academic medicine to clinical geriatrics. Our program has 30+ full-time faculty in the Division, and additional resources including the Geriatric Research Education and Clinical Center (GRECC) at the affiliated Ann Arbor VA.
Our fellowship program offers a strong clinical focus, with trainees providing treatment and consultation in a wide variety of settings; nine clinical rotations in total with a diverse patient population from a broad band of socioeconomic backgrounds. University of Michigan Hospitals-Michigan Medicine is nationally ranked number 5 best hospital by US News and World report with our Geriatrics program coming in at number 7 and Primary Care training coming in at number 6 in the nation. The role of Geriatricians continues to evolve as we are in demand now more than ever as we are in great need of healthcare professionals and policymakers, the curriculum is designed to offer much more than just its robust clinical experiences. We pride ourselves in teaching the leaders of tomorrow. The Geriatric Medicine Fellowship Program also offers a two-year Integrated Geriatric-Hospice and Palliative Medicine track, advanced Geriatric fellowship training (through our partnership with the GRECC), as well as regular opportunities to teach and supervise family medicine residents, internal medicine residents and U-M medical students. We offer up to five, (4 geriatric; 1 Geri-HPM), positions for first year fellows, and further training is available for those interested in a two or three year academic/research focused fellowship. The opportunities are truly endless.